June 30 – Day 1 | Turning my world upside down! 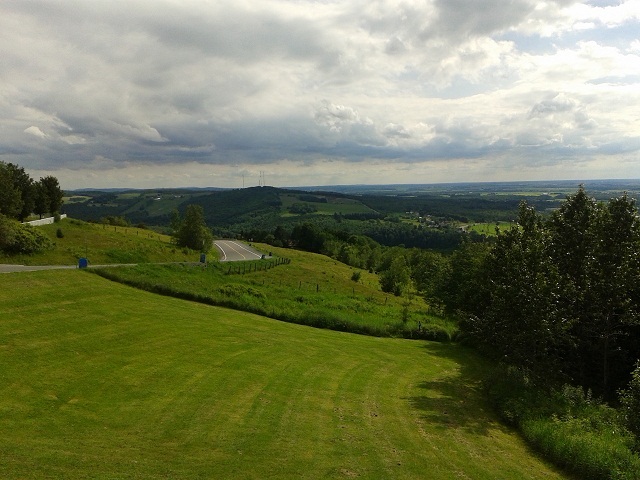 Plessisville – today was the first day of our summer roadtrip. We were up before 9am and I jumped into my bathing suit for one last soak in the hot tub. Then Leon spent the next 2 hours emptying it. We finished our last packing and were off just after 11am. 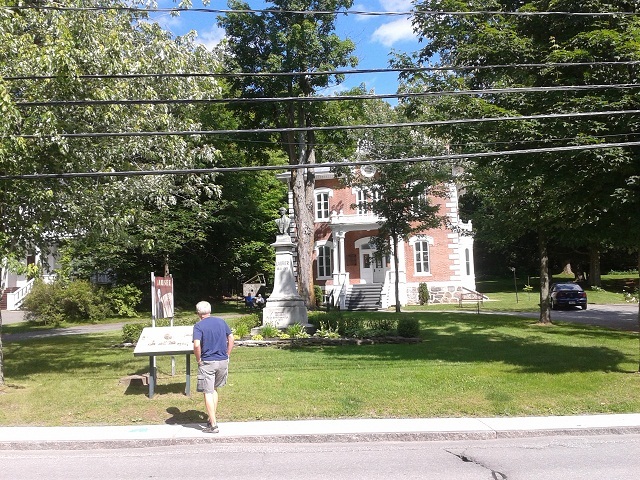 Our first stop was Arthabaskaville, now Victoriaville, where we stopped at the home of Sir Wilfrid Laurier, our first French Canadian Prime Minister. The home is now a museum, but we didn’t take time to visit it. 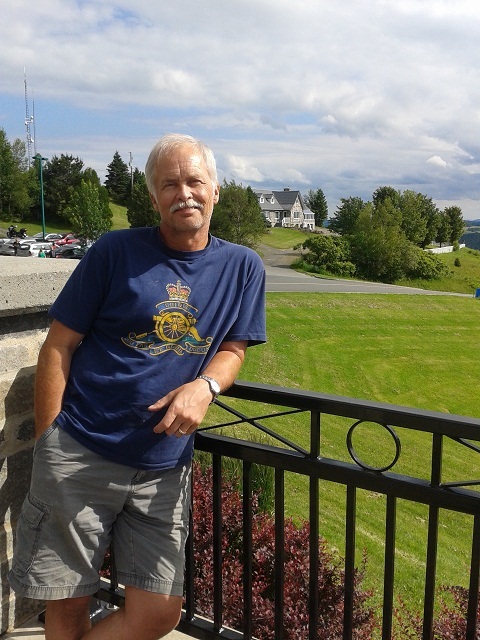 We drove around a bit to see the Victorian homes and there are a few, but what drew our attention was Mont Arthabaska, with its spectacular panoramic views. 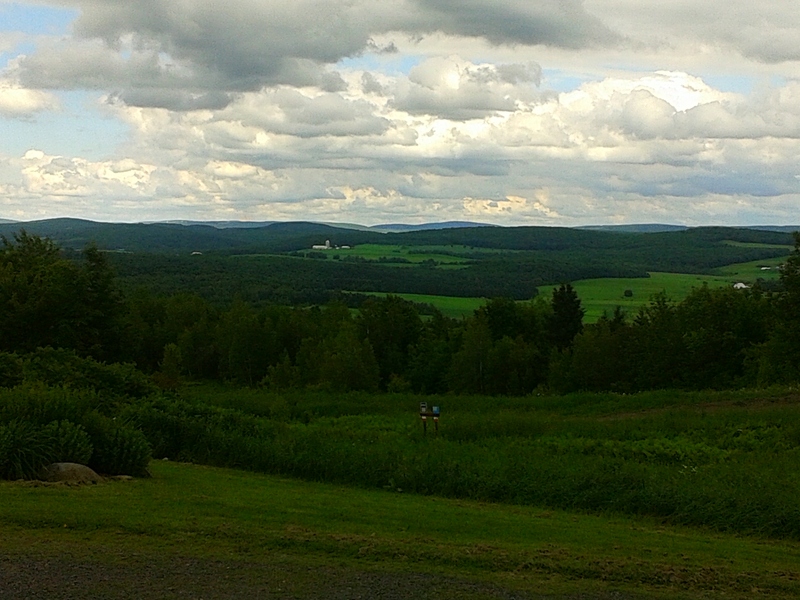 On one side you see the Laurentian Mountains and on the other, the Appalachian chain. Lovely and green this time of year. We had stopped in Arthabaska to see where my father was born, but I have no records of his early years, so I couldn’t look up a certain address. My brother Phil did tell me that our paternal grandmother, Aimée Coulombe was from the area, so that might be why they lived around here. My grandfather was a salesman for a tobacco company, either Imperial or MacDonald Tobacco, so they may have moved when my father was young. Not sure. While we were in the area, I looked up the town of Windsor Mills on the map. Once again, towns merge and the town is now known as Windsor. It was a pulp and paper mill in the 1800s. My mother’s family, the Labrecques lived in that area. Her father being the oldest of 23 children, she joked that most of the children had large families, 8 or 9 children of their own, so they populated most of the town of Windsor Mills. I’ll have to visit the cemetery one day. From there we continued north east to find a campground. Our trusty GPS Bruce found a place for us quickly, but as we drove past the supposed site, we never found it. Leon’s phone had the same camping on its more current maps, but I didn’t bother to look up the directions as we had passed the area by then. 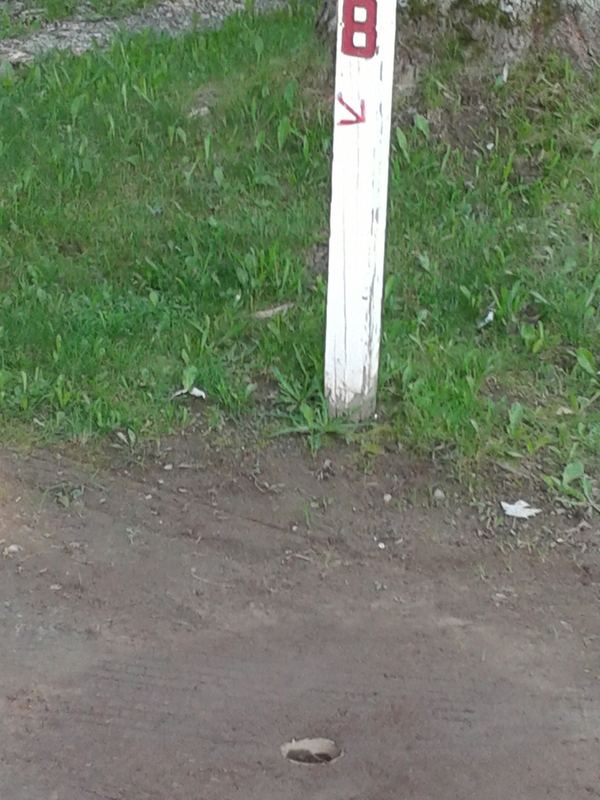 I found another place in Ste-Sophie, but as we drove closer to it, I saw the sign for an even closer campground that I had seen on Leon’s phone maps. Ok, so do we need to put Bruce away for this trip or what? I would miss his Aussie voice if we did. Leon’s phone is not nearly as entertaining. You can almost hear Bruce get flustered when we don’t follow his directions. At any rate, we settled into a nice campground for the night. Leon poured the wine as I made grilled veggies and steak on the Barbie. Dinner was delicious! 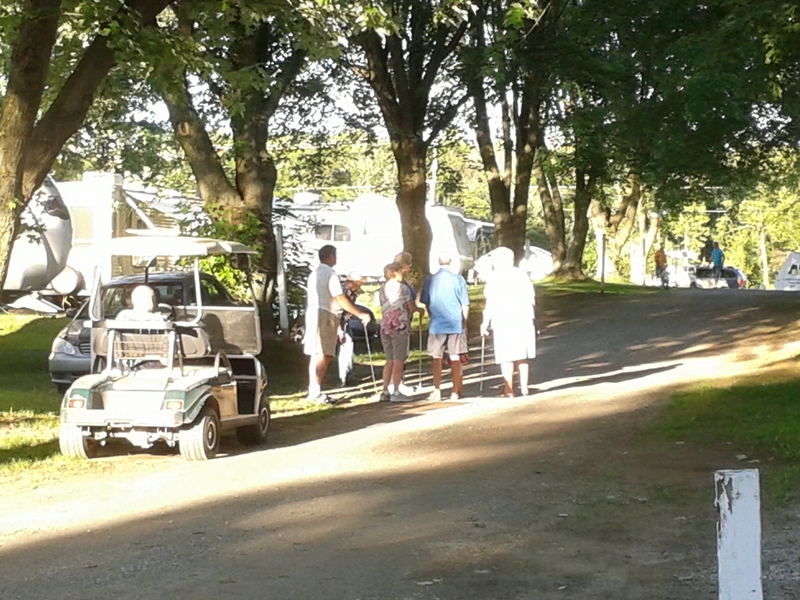 As we ate, we saw a group of older folks playing golf on the camping laneways. One lady was even wearing her golf glove and keeping score. I investigated it closer and saw that they have installed pipes that serve at golf holes to create a mini-put the length of this laneway. It seems a popular activity in the evening around here. 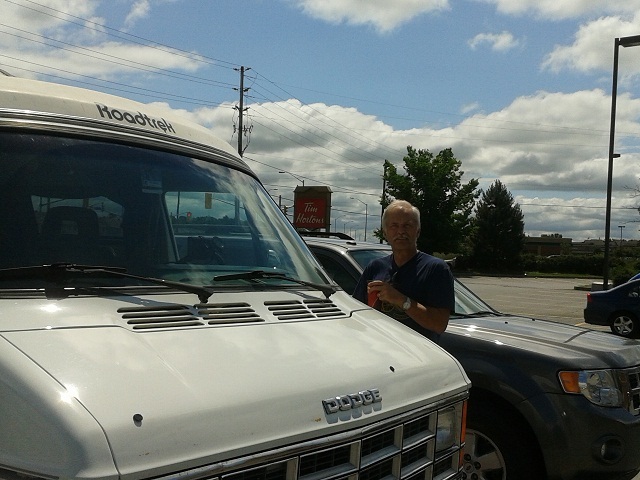 You know, I have to say looking at the picture of Leon beside the Roadtrek with the Tim Horton’s sign in the background, is that not the quintessential image of a Canadian going on vacation? Good to see you’re off to a good start. 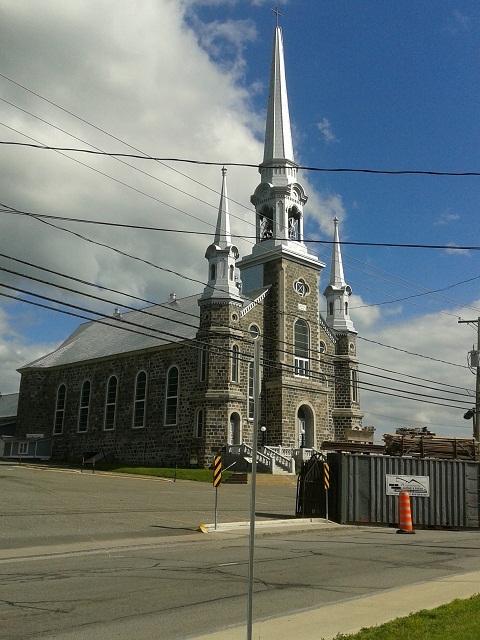 I’ve taken at least 40photos of Quebec’s old churches…now my challenge is to photoshop out the hydro wires on each…maybe I should just live with it.BTW I am on line on one device or another or another most of the time…if I can be of any assistance …especially in the Gaspe area….just give a jolt…..and yes the first Cirque de Sol performance was in The town of Gaspe….have fun…wish I was there to greet you.